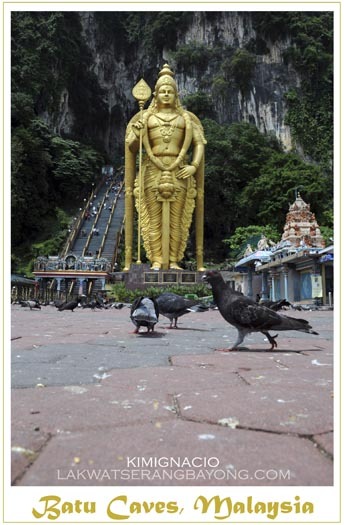 The world's tallest statue of Murugan, a Hindu god. The ride to the airport was smooth as it was only half light and the city has not thoroughly awakened. We were first in line to check in at the domestic T3 airport and it was a breeze. Our 910 AM flight to Legazpi from Manila on 5J 323 was surprisingly on time and half hour before take-off we were called to board the aircraft. It was a gorgeous day and we’re more than happy to be on a holiday. 30 minutes into the flight, the Captain went on air to update that we’re beginning to descend and we will soon land to the home of the majestic Mount Mayon. 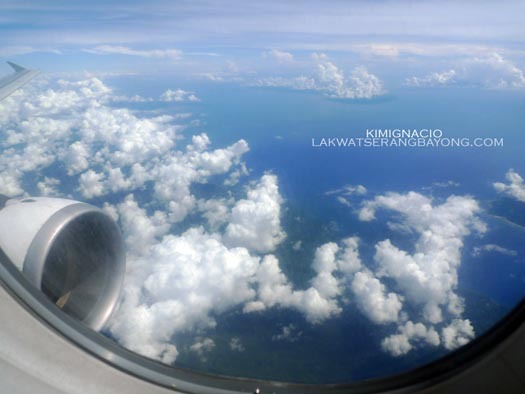 We re-fastened our seat belts, straightened our seats, stowed our tray tables, and pulled up our window shades as we craned our necks trying to get a glimpse of what’s on land only to see the window suddenly enveloped with thick milky white clouds. As if on cue, the plane started to fly through some heavy turbulence, the kind where a few passenger passengers audibly expelled their breakfast on disposable bags found in the seat pocket and FA’s rushing to their seats to buckle up all the while struggling to keep a poker face but doesn’t quite muster it. We were seated on the first row and faced with the expressions they’ve managed might have been funny had it not been scary. 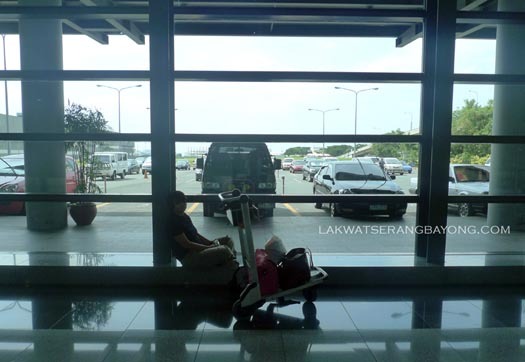 Just then, the pilot droned on confirming that the weather has fast deteriorated and landing in Legazpi’s airport may no longer be possible because of the negative visibility. 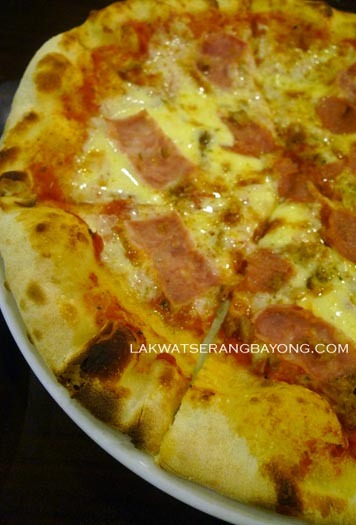 He tried 3 times more until deciding that the best course was to go back to Manila. After over an hour into the air, with almost half the time really bumpy, we have safely landed back at the NAIA Terminal 3 with a huge urge to kiss the ground. So what do we do then with 4 days approved leave with a botched-up itinerary? 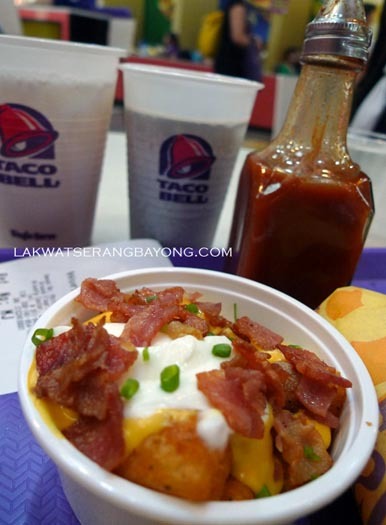 Why but turn our cancelled road trip into the next best thing - a favourite pakunswelo de bobo - full blown food trip (with some sidebar on shopping) and here is our Manila top and regular eats. 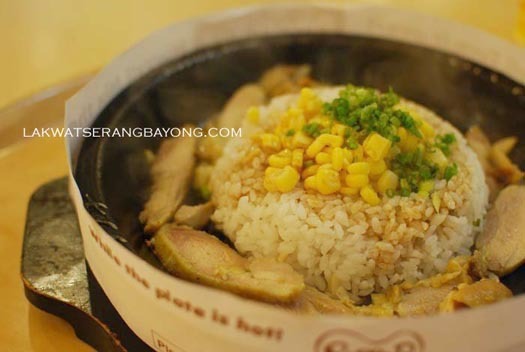 PEPPER LUNCH Mj’s favorite. 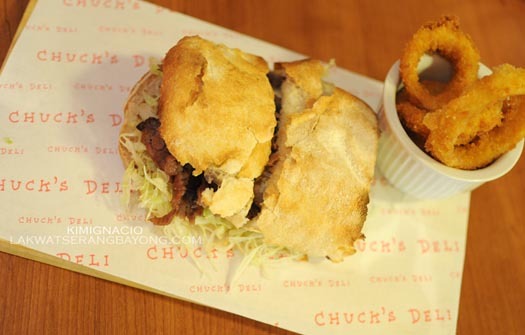 Aside from being a big fan of Chuvaness’ blog, she’s also a very big fan of Chuvaness’ DIY fastfood steakhouse. 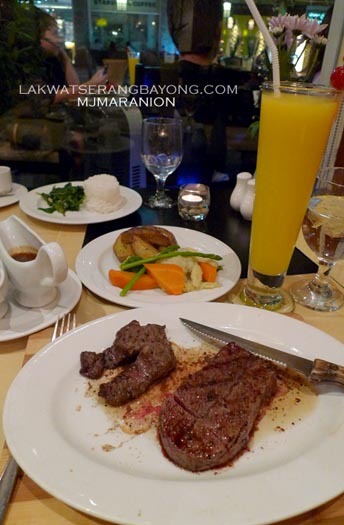 A variety of choice cuts of beef, pork, chicken and salmon to choose from and cook it yourself over an electromagnetic plate that is heated up to 260 degree Celsius. 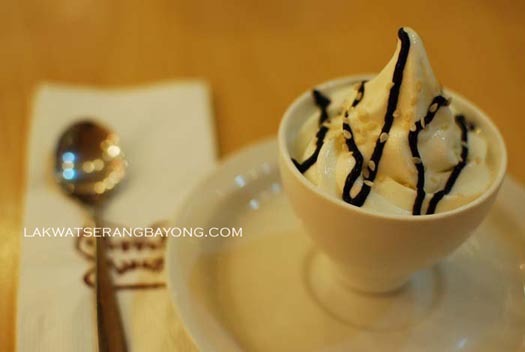 Our favorites are, Salmon Pepper Steak and Beef curry pepper steak, Chicken Pepper Steak, and for dessert, black sesame ice cream. CAFÉ PROVENCAL prolly the best Lamb Chops MJ’s ever had. Their signature herb marinated lamb chops on earthy sun-dried tomato-shiitake mushroom gnocci says MJ is simply the best. 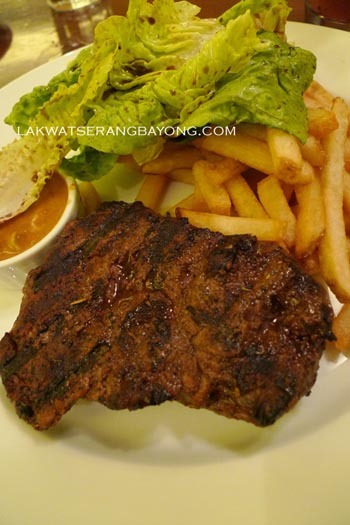 Me, i like the Classic Charbroiled Imported Tenderloin served with a generous amount of fries and a choice of peppercorn, mushroom or bearnaise sauce. DAD’S ULTIMATE BUFFET the daddy of all buffets! 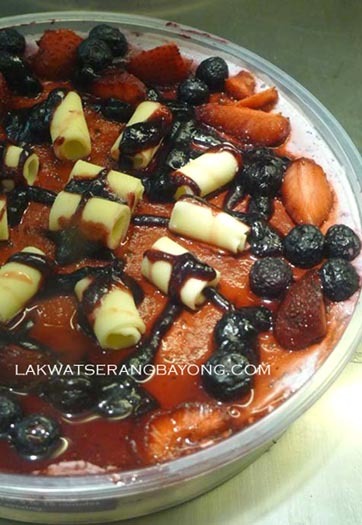 Over 200 buffet dishes from steaks, turkeys, sashimi,tepanyaki to binagoongang baboy and crispy kangkong. Whatever it is you are craving for, I assure you, Dad’s will satisfy every bit of it. 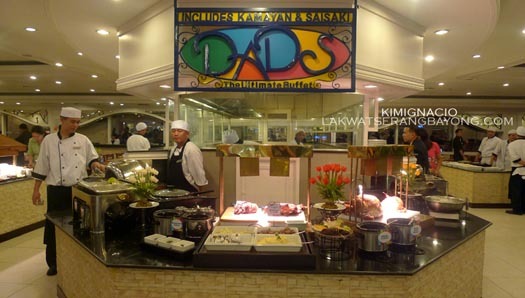 Dad's ultimate buffet for less than 600php includes dishes from Kamayan (Filipino) and Saisaki (Japanese). cream cake, it certainly makes my world a happy place! 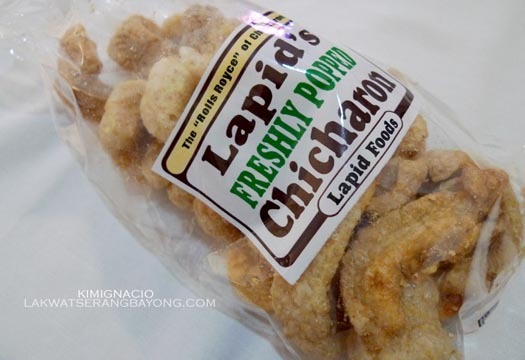 LAPIDS CHICHARON for that ultimate cholesterol goodness. With very little regard for my health I grab at least 2 large bags of Chicharon with Laman (crispy porkloin skin with a bloodcurdling amount of fat and meat) every time I’m in Manila. 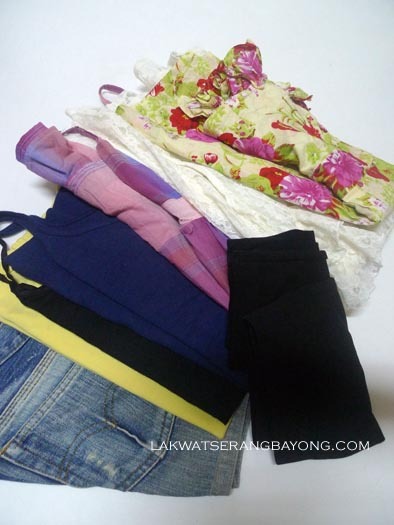 Makes for good pasalubong too. Look for the label "freshly popped" and "the rolls royce" of chicaron for the original Lapids brand. TENDER BOBS satisfies all my meat cravings. There’s no better sight than a slab of juicy premium tenderloin believe me. The resto feels like an all American diner, not that I’ve been to one but it sure looks like those I see on Diners, Drive-In’s and Dives. 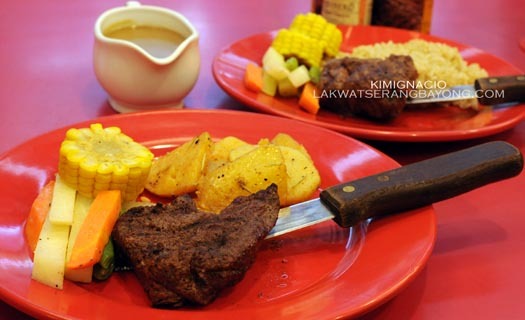 As for the steak, it’s tender and perfectly grilled, comes with corn and veggies on the side and a choice of rice or mashed potato. 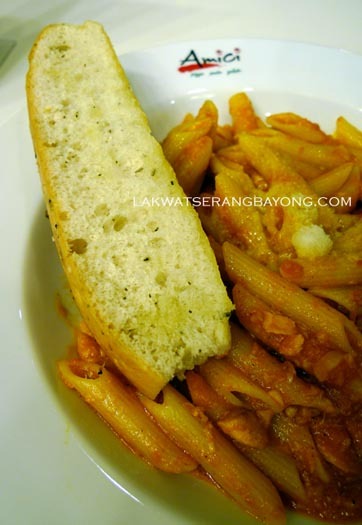 They also serve pastas, burgers, ribs, US steaks and classic American appetizers. TACO BELL Mexican food in less than 5 minutes, how great is that. Never thought fast food could be so damn tasty. 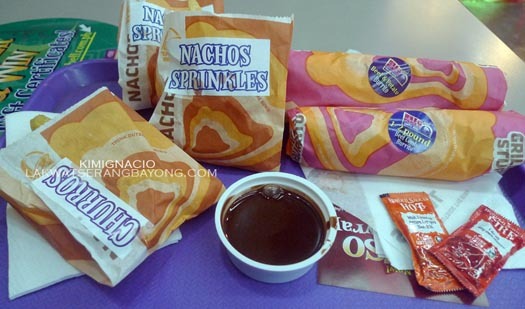 I wouldn’t mind having their ½ pound beef & potato burrito for breakfast, lunch and dinner, it’s heaven in a wrap! DAIRY QUEEN a worldwide chain of ice cream and snacks. 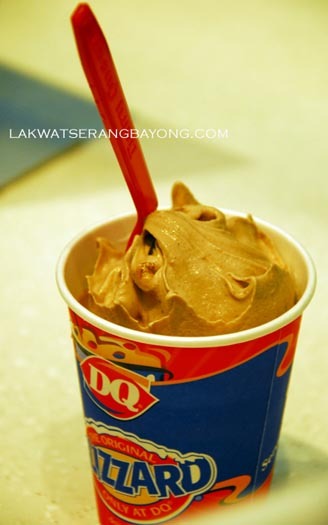 I use to not like ice cream at all but with DQ, I keep coming back for more. That smooth, rich and creamy Brownie Temptation Blizzard bursting with chocolate goodness has a life changing effect and their ice cream is so thick it’s served upside down how awesome is that! CHUCKS DELI is relatively new to our list. Opened only sometime last year, it has garnered a lot of followers already and they can count us in as one of their fans. Massive sandwiches that is not for the faint of heart. 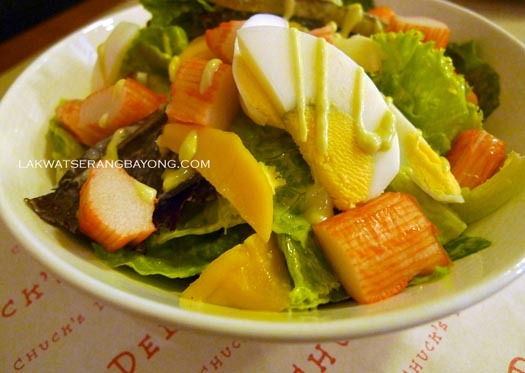 Their Waki salad and the crunchiest onion rings are also a must have. DUO STEAKHOUSE for the best steak that we both have had in a very long time. Juicy, tender, flavorful grilled over coals. Couldn't get better than that. 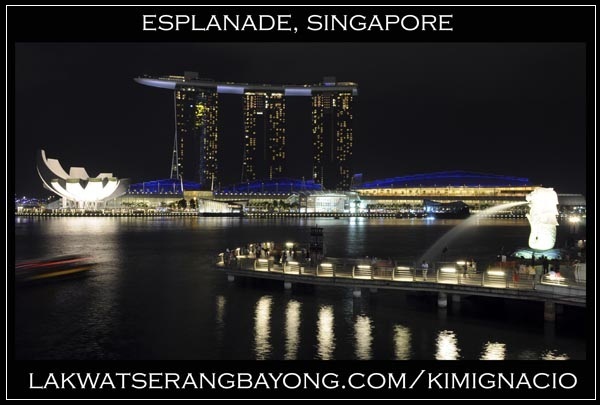 Singapore's most photographed icons, The Marina Bay Sands and the Merlion. There are few people who like to pack and I’m one of them as long as it’s the holiday kind, not the really tedious moving-houses kind. The THOUGHT PROCESS on styling and the practicality that go with my travel wardrobe could be a little too much as dressing for travel has its own challenges but it’s sartorial stress that I actually enjoy. Packing is also done early - at least a week in advance - that way there’s a lesser chance of forgetting something. I hate over packing so my ruthless editing to have the perfect compact closet needs time. Admittedly a bit of a control freak here that I just can’t throw a bunch of random stuff on my SUITCASE. I’ve also been always curious on other travelers pack so I thought I’d share the actual clothes that got tucked into my wheelie for the upcoming 15 days vacation in 3 countries. 4 if we include the north in - country. These are pieces that are breathable and comfortable without sacrificing style yet still appropriate and weather ready and not tip the scale on excess baggage fees. I hope. that. It can be untailored unbuttoned with sleeves rolled to the elbows and de-daintify my girly clothes. For temple visits, I have my scarf to throw over the shoulder. 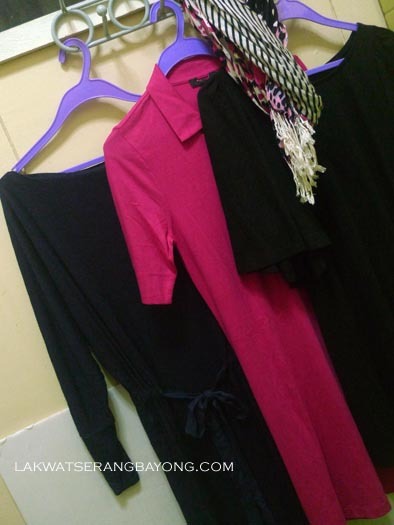 MALAYSIA – is very casual but since it is a Muslim country, there is an unspoken rule to dress modestly- with knees and shoulders covered. It’s also hot and humid so it’s best to wear loose cotton fabrics. If I need more coverage for those religious site visits, I can just whip up my trusty scarf that I always keep in my bag again. 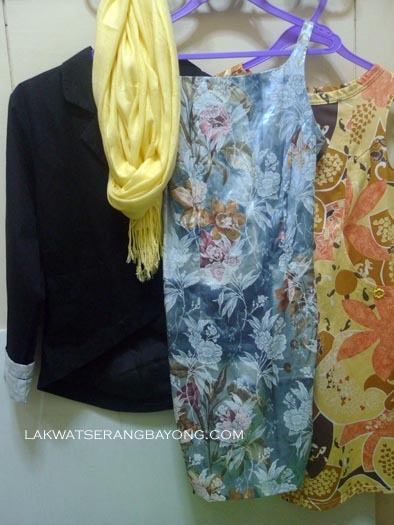 CAMBODIA – has a very relaxed attitude in dressing and some temples in Angkor complex are no longer active places of worship though many Buddha images are still tended by monks. To tell the truth, I’ve watched Tomb Raider again to see what Angelina’s costume was for outfit inspiration but seeing for a fact that I can’t pull off Lara Croft’s skimpy-booty-hugging-lycra-mini-shorts and tank tops without looking indecent, I have to revise this image in my head and settle on dressing up like a self styled NatGeo (not so ancient) archeologist instead. 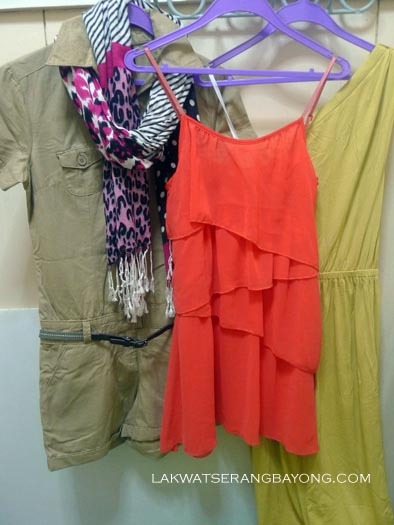 The coral color and one shoulder is my take on monk fashion. wrinkled but nothing the steam from the hot shower couldn’t fix. Dresses are my default key items that I usually just cinch with a skinny belt. I also bought a few extra “just in case” dressier pieces that don’t take up much space. Leggings, denim shorts and tank tops are travel staples as I can layer them under dresses for proper coverage and added warmth in transits. As for the footwear I bring inexpensive yet broken in comfortable items. There’s a t-strap tan sandals that works with almost everything I’ve packed, my cushiony Toms skimmers for transits and for the Angkor complex visit, and rubber flip flops for the bathroom and the hotel pool. A neutral colored tote to round up my entire outfit changes and large enough to accommodate the stuff that I need to dump in it. 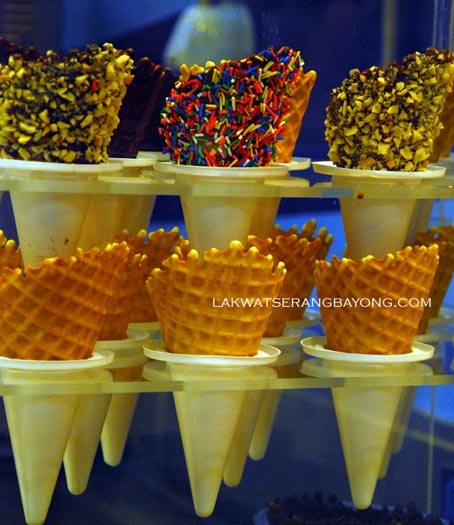 General Santos city in Southern Mindanao is about 2.5 – 3 hours scenic drive from Davao city on a relatively well-paved road. The ride is made more pleasurable with the prospect of having a really good meal at the end of the trip. 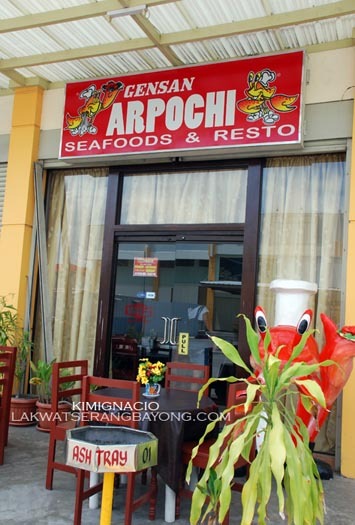 No trip to Gensan is complete without dining at Arpochi Seafood and Resto. 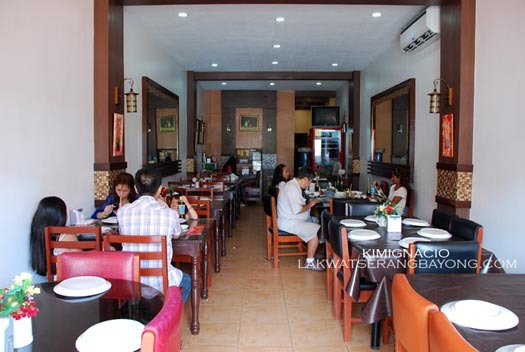 The restaurant has a specialized menu concentrating on crabs, prawns/shrimp, fish, squid and native chicken and the dishes are all extremely well thought out and executed. 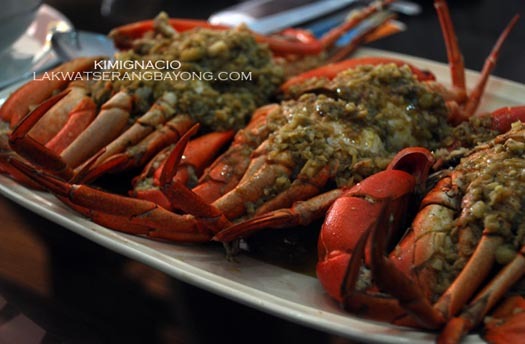 Their bestseller and the most famous perhaps, is their signature mud crab recipe from Cotabato City. These beautiful huge meaty crabs are oozing with coral delicate roe on a bed of butter pepper and generous garlic sauce. 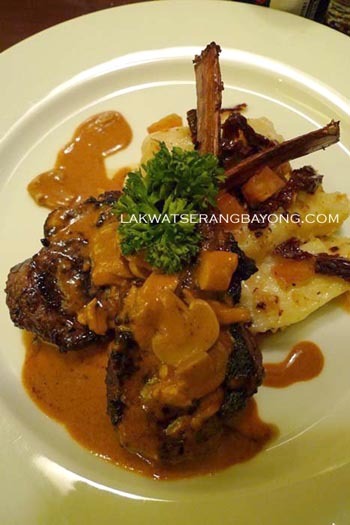 The flavorful sauce compliments the delicate meat of the crabs and perfect for drizzling over plain steamed rice. 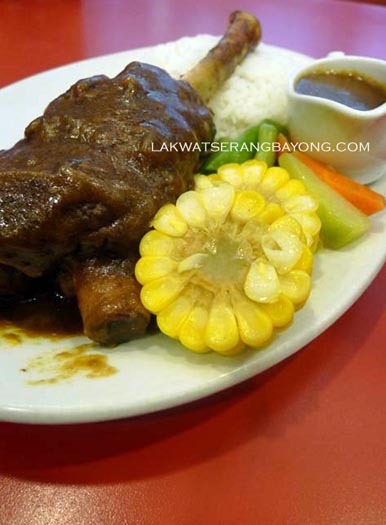 Their Ilonggo version of Native Chicken Adobo is also a favorite. The chicken is cooked and simmered till the mixture of vinegar and soy sauce with black peppers, garlic, bay leaf and some other closely guarded secret ingredient thickens and dries out. 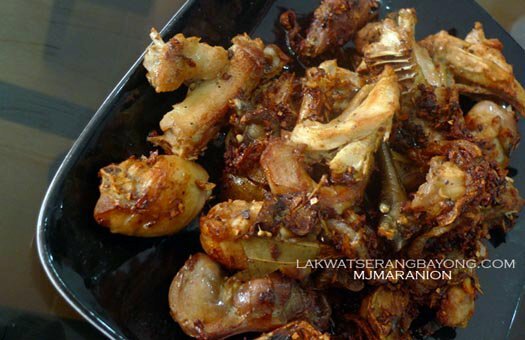 The chicken is thoroughly browned with even a bit of a crisp on the outside but moist, tasty and full of flavor inside. The crunch from the toasted garlic is another textural delight that adds kick to the dish. 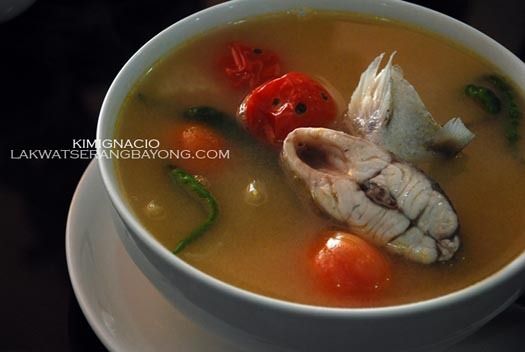 Sinigang na isda, (sour fish (Pompano) soup) usually opens up our meal and our palate. The pompano is really fresh with a clean fatty taste balanced with the acidity and the vegetables cooked just right. Not bad reasons to get behind the wheel for a 3-hour road trip noh. Not at all!